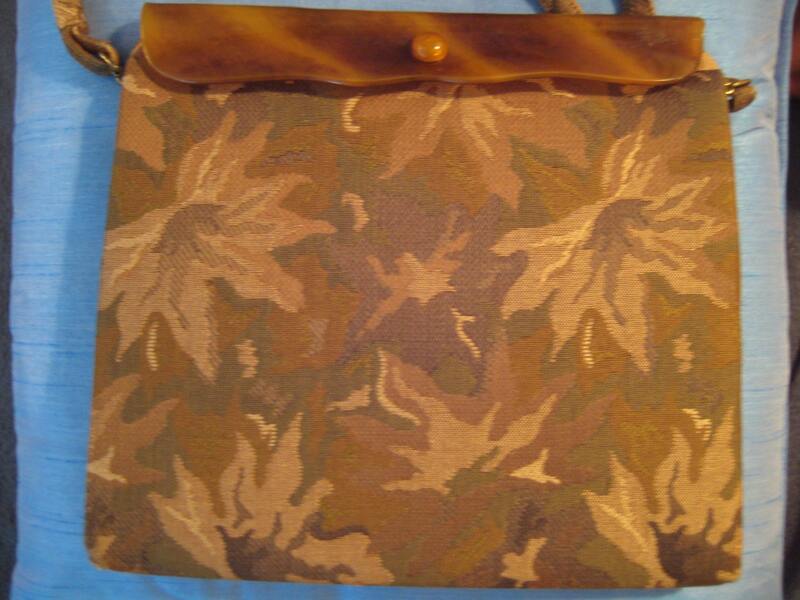 Gorgeous vintage handbag with sweet caramel Lucite trim. 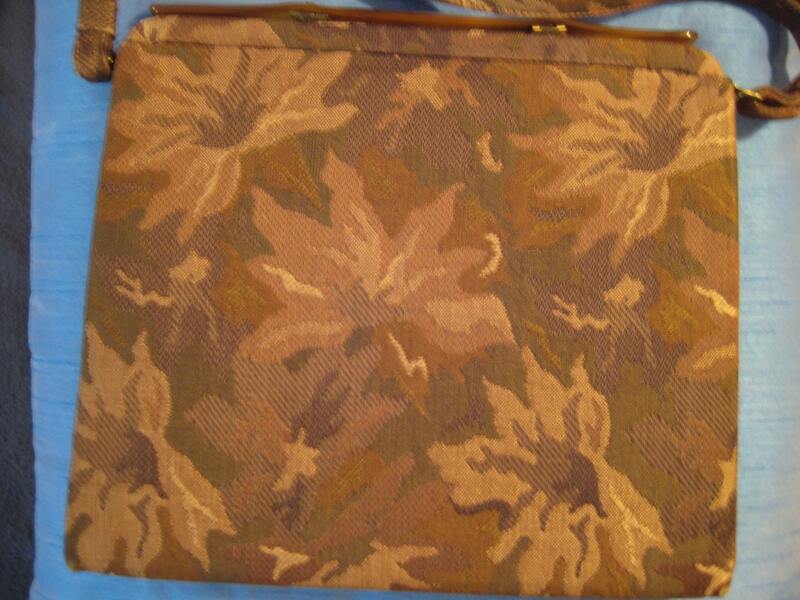 Flower vibe fabric design with brown and green tones. 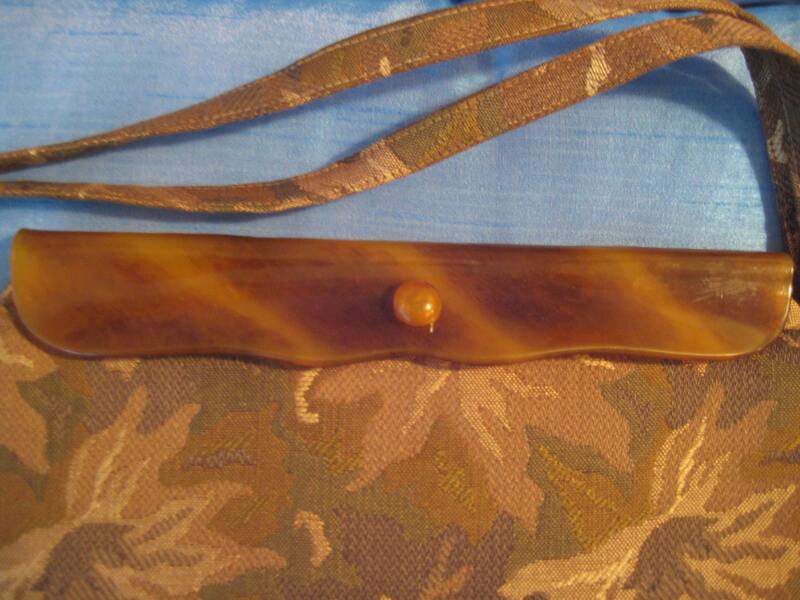 Fold over amber color Lucite tension clasp. Gold tone hardware. Great shape with minor wear on bottom edges. 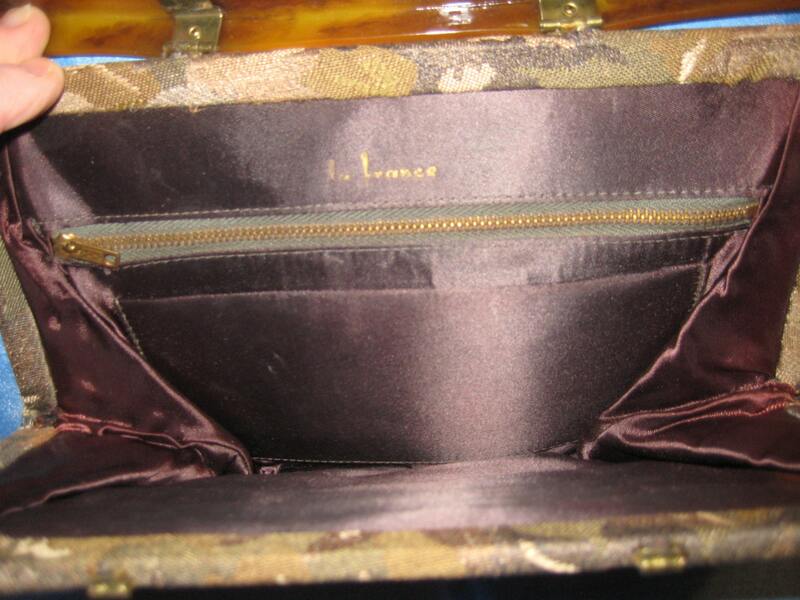 Brown satin interior lining is lovely. Two interior pockets! One with metal zipper closure and one patch pocket. Dimensions: 10.5 inches long at bottom X 9.5 inches tall. Matching cloth handles are approximately 8 inches when double folded.